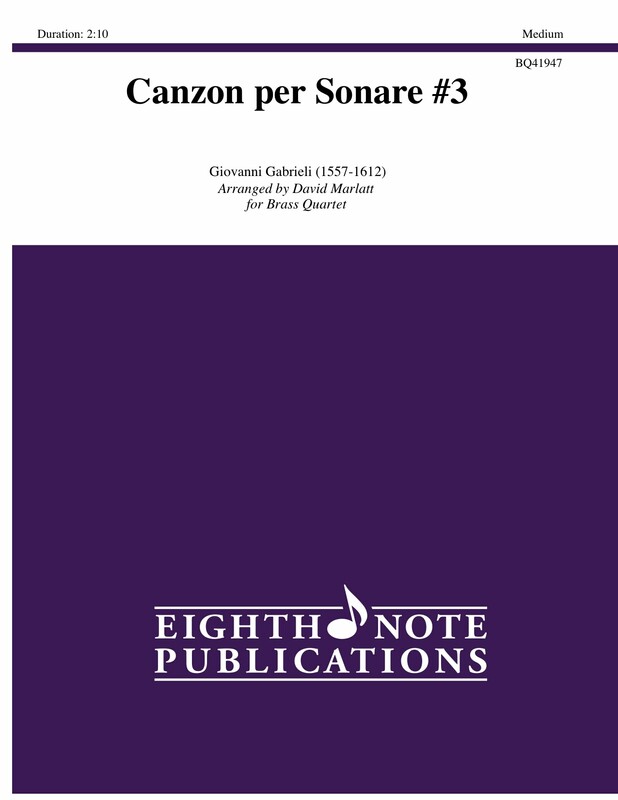 There have been many recordings of the famous Gabrieli canzoni for various combinations of brass instruments. This arrangement for brass quartet is a welcome addition to this repertoire. Antiphonal spacing is always a successful performance practice allowing the passing of melodic material to be enhanced by the spatial distance.